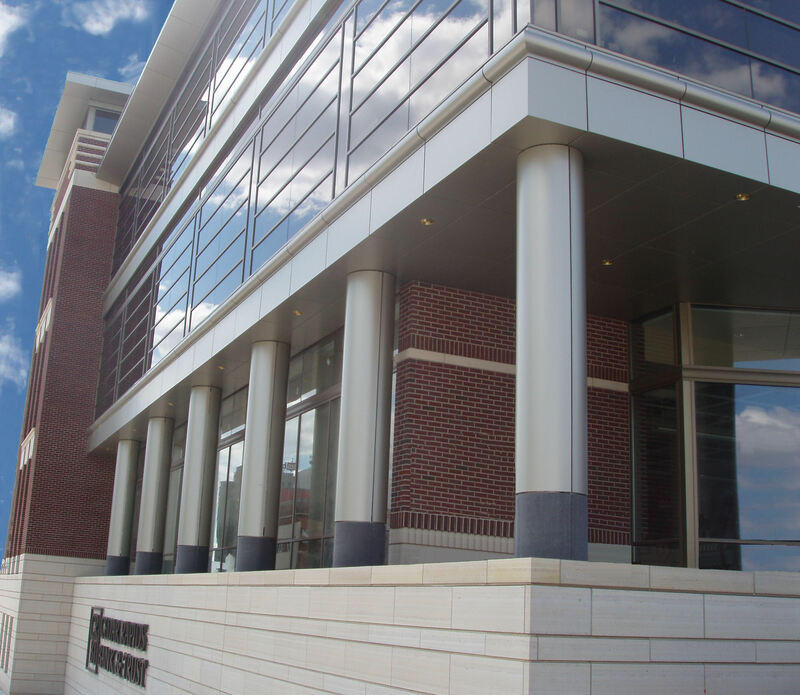 Metal Design Systems’ Series 20 Rainscreen was selected for the silver metallic ACM panels, accent band, canopy, eyebrow, and the MDSI ColumnMax™ column covers. 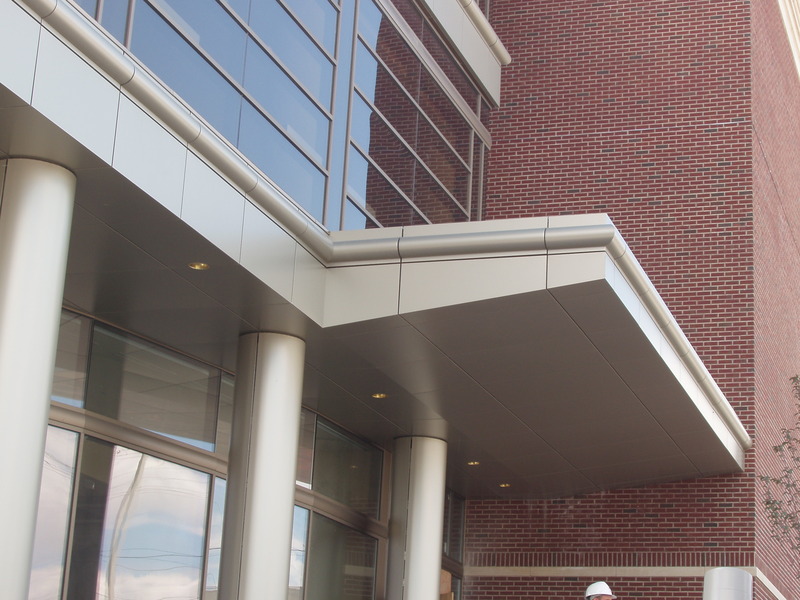 The panels feature a bullnose shape along the top of the and accent band, adding dimension and interest to the overall aesthetics, according to the design by OPN Architects. 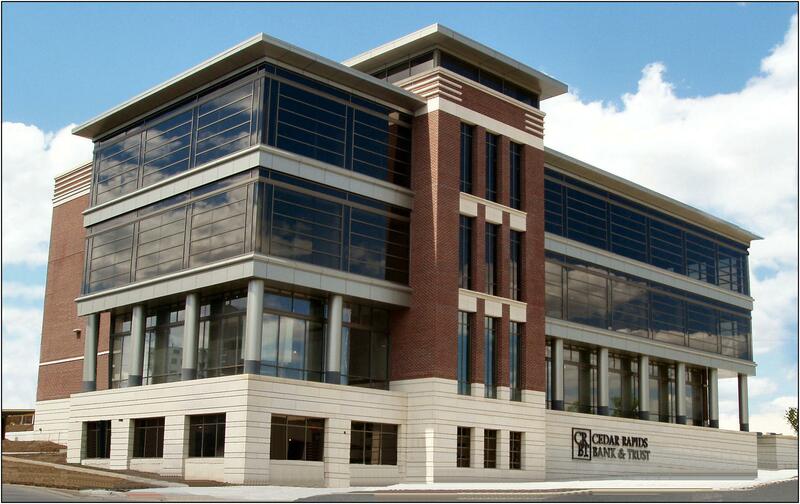 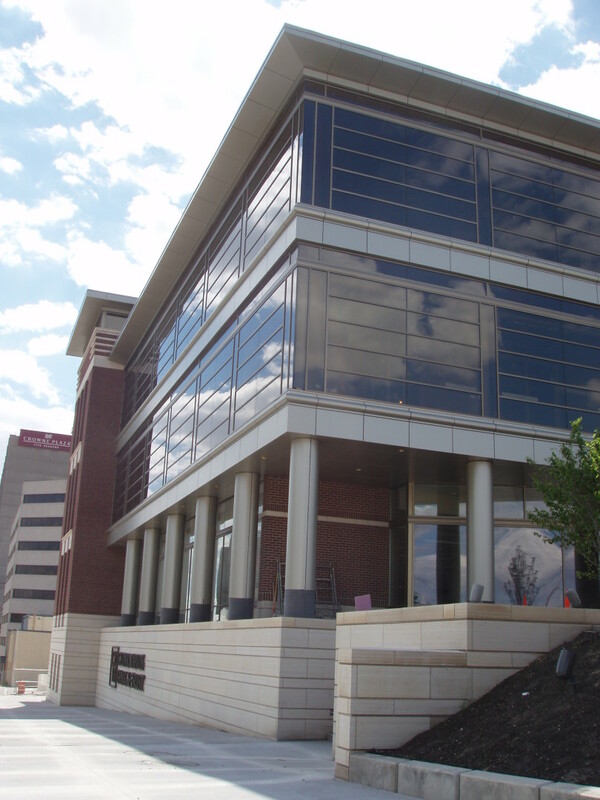 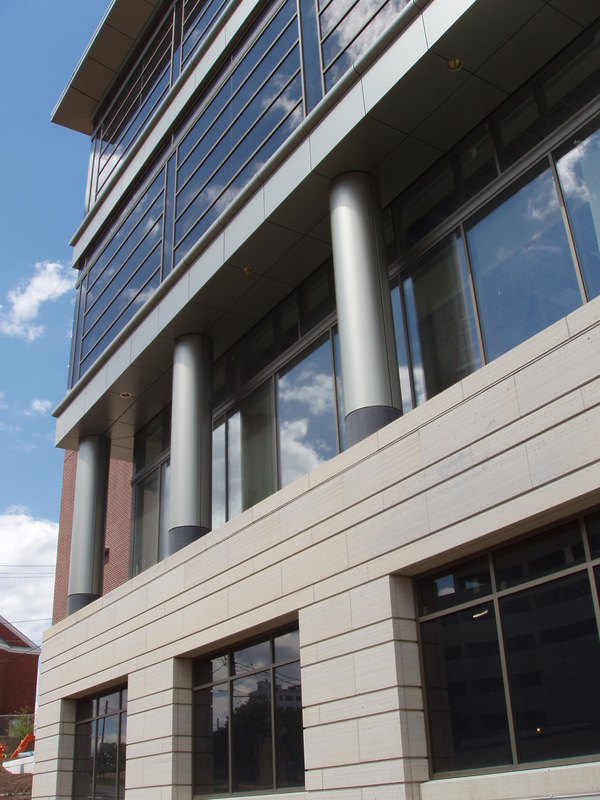 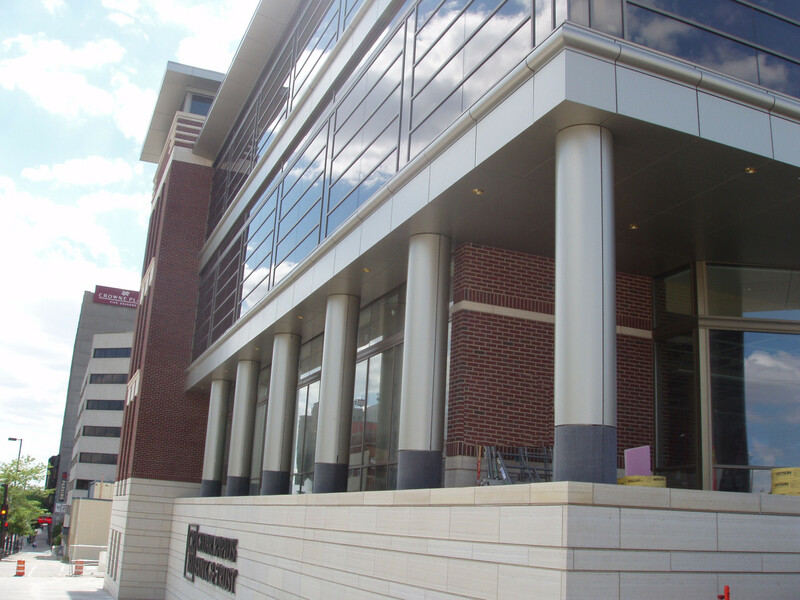 MDSI Series 10 System was selected as an additional solution for ease of installation on the top of the canopy of the Cedar Rapids Bank and Trust.